What is a carbon film resistor? 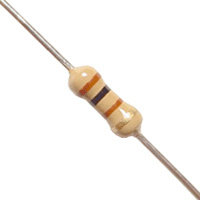 Carbon film resistors are a fixed form type resistor. They are constructed out of a ceramic carrier with a thin pure carbon film around it, that functions as resistive material. Carbon film resistors are a significant improvement on carbon composition. However, in comparison to metal film and metal oxide film, the commercially available range steadily decreases. Metal and oxide film are not more expensive to produce, and have overall better properties. Typical use for carbon film resistors is in high voltage and temperature applications. Operating temperatures are up to 15kV with a nominal temperature of 350°C. Examples are high voltage power supplies, radar, x-rays and laser.